Michael J. Dowling’s winning spirit, unbreakable determination, and willingness to take risks have propelled him forward and inspired and motivated those around him. This no-nonsense determination has been the hallmark of Dowling’s career and personal journey. He grew up in a thatched cottage without indoor plumbing or electricity. His father disabled by severe arthritis and his mother hearing impaired, Dowling assumed the responsibility of supporting his family as young as fifteen years old, traveling to England during the summer to work in a steel mill in Crawley. He was accepted to college – a first for the family – at University College Cork (UCC), but had to find a way to pay tuition and continue to send money home. Before starting at UCC, in the summer of 1963, he went to the U.S., to New York, on a J–1 visa. At just 17, Dowling committed himself to finding as much work as possible and made the journey every year until graduating. He worked on the docks, in the engine rooms of the Circle Line tour boats, in construction, as a plumber, cleaning out bars in the early morning hours, as a school custodian. But Dowling is living proof that hard work pays off. After graduating from UCC in four years (that farmer’s son took six to earn his degree, he mentions with measured glee), he returned to New York and eventually enrolled part time at Fordham University, where he completed his master’s in social policy. During this time, he met and married his wife, Kathy, with whom he has two children, both currently working in health care – Brian is an Imaging Supervisor at one of North Shore–LIJ’s facilities on Long Island, and Elizabeth is a registered nurse working in oncology. In 1979, Dowling joined Fordham’s faculty as director of the campus in Tarrytown, and then served as a professor of social policy and assistant dean at the Graduate School of Social Services. 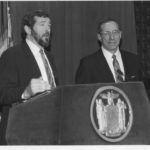 When Mario Cuomo was elected Governor of New York in 1983, he asked Dowling to come on board, eventually advancing the Irishman to serve as his deputy secretary and director of health, education and human services. As an immigrant and the son of immigrants, the two often saw eye-to-eye. During his twelve years in Albany, Dowling worked closely with the governor on issues ranging from homelessness and the crack epidemic to Medicare and Medicaid. When Cuomo’s reign ended in 1995, Dowling was recruited by the insurance giant Empire Blue Cross Blue Shield as a senior vice president, but was lured away a few months later to take the post of SVP, Hospital Services at North Shore–LIJ Health System, then a small group of Long Island hospitals. He was promoted to executive vice president and chief operating officer in 1997, and was named president and CEO in 2002. Over his eleven years at the helm, Dowling has transformed North Shore–LIJ into a shining example of how health systems can thrive by adapting. With 16 hospitals, 400 ambulatory care facilities and 2,400 full-time physicians in the North Shore–LIJ medical group, it is the nation’s third-largest non-profit secular health care system, and New York state’s largest integrated health care network. 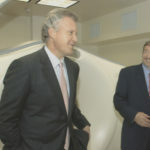 It is home to the highly respected Center for Learning and Innovation – the largest corporate university in the health care industry, modeled after GE’s Crotonville – as well as the Patient Safety Institute, the biggest patient simulation center in the U.S. In 2011, Dowling also ushered in the Hofstra North Shore–LIJ School of Medicine at Hofstra University, which, as it trains all first-year students as EMTs, is challenging the traditional structure of how medical students learn to be doctors. Dowling is equally fearless when it comes to shaking up the way the health system is structured, placing a greater emphasis on out-patient care and, just this year, establishing a license for North Shore–LIJ to function as a commercial health insurance provider. Significantly, at a time when many hospitals – especially those in New York – are struggling to stay out of the red, through a strategic series of mergers and acquisitions, groundbreaking initiatives and close attention to management and personnel, North Shore–LIJ has maintained profitability, with $6.7 billion in annual revenue. In the world of hospital administration, Dowling is unusual in his hands-on approach: he functions as the CEO of each separate North Shore–LIJ entity and spends every Monday morning meeting the system’s new employees, typically 100 per week. With 46,000 employees, North Shore–LIJ is the largest private employer in New York state. “But this is a great example of what we’re trying to achieve!” he said, energetically tapping the conference room table and raising his still distinctly Limerick voice. “The back surgeon I go to, he will do everything possible to keep you from having surgery. He’ll tell you up front, ‘In 80-90 percent of cases, there is no need for back surgery, so we’re not going there unless there’s no other alternative.’ That was my case this year, but for the last 20 years, I didn’t have surgery. In many respects, this is the central dilemma of the health care industry today: what’s best for patients isn’t always what makes the most money. And health care is, at the end of the day, a business. With his fearless, entrepreneurial approach, Dowling navigates this murky territory with apparent ease and has been lauded by the industry and beyond for doing so. This year, he was ranked 25th in Modern Healthcare magazine’s annual listing of the Top 100 Healthcare Leaders, up 13 slots from the previous year. He was the recipient of the 2012 B’nai B’rith National Healthcare Award, the 2011 Gail L. Warden Leadership Excellence Award from the National Center for Healthcare Leadership, and the American Irish Historical Society’s Gold Medal. He is also a recipient of the Ellis Island Medal of Honor. Over the course of the Business 100 keynote interview, Dowling discussed his pioneering vision for North Shore–LIJ as it modernizes practices and realigns incentives, his hands-on approach to leadership, and the inspiring lessons of his determined rise. Where did the desire for education come from? Even though we didn’t have much, my mother always made books available. I grew up reading Shakespeare, and the American author Zane Grey who I loved. I was fascinated by the way he was able to write so that you could visualize what the American West looked like, even if you’d never been there. Later on, when I started to do public speaking, I always tried to present something [in a way that] the audience could see it, so you’re telling a story. I realized very, very young that there wasn’t much available in Ireland for me. I could milk cows, which I did; I could kill pigs, which I did; and there wasn’t much else. So if I wanted to get ahead I had to move on. My father never really understood it, but my mother did. She was a very strong model. She was big into education even though she had no education herself. She always wanted you to not let your current circumstances limit your potential. You had the potential to do what you aspired, to aim high. You might not get completely there, but you will go a distance. I still talk to people about that. She was deaf, though in her mind she had no disability – she probably knew what was going on a hell of a lot more than most people. She still knew how to speak because she lost her hearing at the age of 6 or 7 – I’ve investigated this, and I believe that it was from a cold medication they gave her, which when taken in the wrong dosage could cause hearing loss. I believe [her deafness] is why she had such a phenomenal interest in reading. The book became her partner – she didn’t have to listen to it, she could read it. So in part, the disability in one respect created a wonderful interest in another, which I then benefited from. How has the Affordable Care Act impacted on what you do? We were already doing a lot of what’s in the ACA. In fact, a lot of what’s in the ACA came out of the lessons learned from many of the health care organizations doing good things. Overall, I’ve tried to not get consumed by the ACA and to move forward the way I think we should. It’s an exciting time to be in health care. We can do a much better job and we should be promoting transparency, we should be figuring out how to get the costs down and continually enhance the quality. You have to be leading these days; you have to be ahead of the game. I don’t sit there waiting for what’s going to happen. I try to challenge the status quo and figure out how we can help create the future. Is that why you decided that North Shore–LIJ should also become an insurance provider? This is a major innovative step for the organization. We want to be in the business of providing health as well as treating illness. The present method of payment – fee-for-service – pays only for illness treatment. Being an insurer as well as the provider allows us to do both. It allows us to properly align incentives so we can better coordinate care, enhance quality and get better results. There is no perfect answer – it’s a continuous process of improvement. But change is necessary and overdue and we want to be a leader. There is another issue that is of utmost importance – individuals need to have more skin in the game. A significant portion of major illness (some argue 70%) is self created. We don’t exercise, we smoke, we drink, we take drugs, we sit on the couch, we are lethargic. Behavior and lifestyle changes are essential if we are to truly reform health care. Just think of obesity and all its attendant consequences – which the U.S. has in abundance. Are hospitals becoming less central to how people are treated? Ten years ago, a lot of things had to be done in a hospital, but with advancements in science and technology, that isn’t the case anymore. In our health system, with just a few exceptions, if you need basic surgery you go to an outpatient facility. I had knee surgery recently. Three years ago I would have been in hospital for a few days. Instead, I went to an ambulatory site at 6:30 a.m., had the surgery at 7:30 a.m., and I was home in my house at 12 noon. We have 16 hospitals but we also have 400 ambulatory/outpatient locations and extensive home care programs. Most care can now be provided outside the hospitals with better outcomes and fewer complications. It isn’t overly complicated when you break it down. The consumers – and I like to talk about health care as being in the consumer business because it’s what consumers want that matters – not just what providers want to deliver. They want good quality, they want convenience, they want good service and they want to be treated by a kind, confident and competent staff. So we are rethinking the whole way we do business. And if we do it right everybody will benefit. When did you first become interested in health care? It began when I was young, because of the circumstances with my family. It really blossomed when I had the privilege of working for Governor Mario Cuomo. As Director of Health and Human Services, I got immersed in both the public policy and the operational aspects of health care. It was a transformative time for me. As a result, I aspired to leading a health care organization, and fortunately, I got the opportunity. I owe a lot to the many people who took a risk and showed confidence in me. How do you find that person who’s a good hire? You are looking for people with integrity, with passion, with commitment and with a positive can-do attitude. You also want people who are team-oriented and have good interrelationship skills. All potential hires go through a thorough screening and prior to starting employment, they undergo a comprehensive orientation program. In a big system like ours, we recruit many different kinds of people – nurses and physicians, technicians and statisticians; HR and financial people, carpenters, laundry and construction workers. It’s a multi-faceted organization with multiple diverse businesses. We also have a sophisticated high potential training program. Each year we identify between 50-60 people who we believe, have the potential to take on leadership responsibilities and we put them through an intense training program. As a result, the majority of our leadership comes from within. We do however, go outside and recruit from other industries. What drew you to the field of social policy when you were at Fordham? [Chuckles] That’s a good question. Honestly, I didn’t know much else. The only person I ever knew who had a college degree was a teacher. So I thought that was all you could do. I had no concept that you could become a doctor or a lawyer. When I started at UCC, we were signing up for courses, and I didn’t know where to go. So someone said, “What are you doing?” and I said, “I want to be a teacher.” They told me which building to go to. So I go over and stand in the line, and after about 10 minutes I look up and I see a sign that says “Liberal Arts,” and I’m thinking “Liberal Arts? What is that? I can’t draw.” I had no idea. And that’s how I got into the social sciences area. Also, because of my family background, it interested me. I was so happy to be in college, it was the greatest thing ever, but, looking back, I didn’t have a clue. No one ever sat me down and said, by the way, you can do this or that; you have options. Then I didn’t want to change, because back in Ireland in those days if you changed [degree tracks] you had to start all over again. Even today it’s like that in Ireland. I think it is very bad that a 17 year-old has to pick his specialty and stick with it. It’s changed a bit, but the concept is the same. No 17-year-old knows what they want to do. You won’t even know when you’re 60, because life is a continuing search for what you want to do and be. Are you optimistic about Ireland in the future? I think Ireland will be fine. It’ll just take five to ten years. In many ways it’s a bad thing that happened, but in other ways it’s not that bad. It’s always good to get slapped down once or twice so that you don’t get caught up in your own press releases and you realize, “Yeah, we’ve been running on froth,” which is what they were doing. The basic core has to be strong. But given what Ireland has had to deal with over the centuries and over the decades, this is minor stuff. They’re handling it very well. They’re accepting it and dealing with it, so I think Ireland will be fine. It benefits from having a phenomenally educated work force, and that’s been the key to its success from day one. Do you get back home much? Yes, at least twice a year. Since my parents are gone, most of it is now business. I’m on the Prime Minister’s committee for healthcare, and I’m chairman of the American board of the UCD Michael Smurfit Graduate Business School. All of my siblings are still there, so we get together when I go back. And we check in with each other every Sunday, even if it’s just to say that everything’s fine. Every year I bring about 20 students over from Ireland for work or study experience. This year I had seven business students, a number of nurses, and some speech and hearing students from Limerick. I started this years ago, and now my staff do it automatically, so sometimes I don’t even know how many people we have until I meet them for breakfast. The speech and hearing [component] started eight or nine years ago. There were no programs in Limerick for kids who had disabilities, especially speech therapy, which my nephew needed. Then I met an American speech therapy student who wanted to do an internship in Ireland and I got to thinking, is there any sort of program for this in Ireland? The University of Limerick had started a program but didn’t have any way to train students in a real life environment, so I agreed to have a number of kids come over for the summer. We have one of the largest speech and hearing centers on the East Coast, so I started bringing speech and hearing students over. I put them up, I paid them, and they spent two months here and then went back. That’s been going on now for ten years, and has evolved into business students and nursing students. Is it still possible for immigrants to attain the American dream? Absolutely – it’s happening each and every day. It’s what makes the U.S. special. Immigration has been key to the American success story and that will continue. I am always happy when a portion of our hires are new immigrants – they work hard, they strive, they see opportunity where others see barriers. They haven’t yet developed that sense of entitlement, an evolving culture that we, as a society, have to curtail. There is no substitute for hard work, commitment and personal achievement – and no greater satisfaction. Would you go back into government or politics? Practical as your outlook is, it’s also very optimistic. Well, you have to be perpetually optimistic. And I always tell employees this – don’t ever say you can’t do something. Everything is possible. We have 100 – 150 new employees every Monday, and I always meet with them. There are usually a lot of young people in the room, and one of the messages is to encourage them that no matter where they are at the moment, no matter what their current situation is, they can end up doing what I’m doing. Because I didn’t expect to be standing in front of them as the CEO of an organization, so one of them can do that too. You just have to aim high, and don’t ever say you can’t do something. This magazine was created to bring you the stories of our people. And, as is often the case, the best stories are those where the mind and will win out over circumstances. One such story is of Michael Dowling, a man born into poverty whose commitment, focus and extraordinary hard work have brought him to the top in the health care field. The narrative of Dowling’s life raises the question, why are some people bowed by circumstances while others strive to make those circumstances better? Of course there are many factors involved, including, in Dowling’s case, brains and brawn, but we also learn how a seeming disadvantage, his mother’s hearing loss, became one of the key factors in his success. (You can read for yourself in Sheila Langan’s wonderful cover story). Dowling, who is the head of North Shore–LIJ Health System, is not the only high achiever profiled in this issue. All of our Business 100 honorees have aimed high and earned their place on the top rungs of the corporate ladder. In terms of Irish roots, they span the generations; from Irish-born Dowling to Shannon Deegan, whose ancestors took that fateful trip in Famine times to join the Irish community in Pointe St. Charles, Montreal. But no matter the remove from Ireland, as the quotes on heritage attest, in the geography of the heart there is no distance at all. And as we read the profiles of the honorees, we catch a glimmer of inherited tenacity born out of the struggles of those who went before. Taken together, the stories in this issue can be seen as a paean to America, which in its most essential state provided room to grow and dream (are we not the only country with the grand ideal we call the American Dream?). One such story is of Belfast-born engineer William Mulholland, who built an aqueduct many deemed impossible and brought water to Los Angeles. Years after his death, his impact continues to be a source of debate. In our story on the Dublin Lock-Out we see the roots of the union movement that the Irish would bring with them to the New World. And in our “Memories of JFK” we are reminded of a glorious time when one of our own made it all the way to the White House, even as we continue to mourn him. Michael Dowling is making a difference in how we look at health care. He is making a difference by promoting education and making internships available for Irish students. Perhaps most valuable of all, he is making a difference as an everyday motivator and enthusiast about life, and in his optimism about the future. Dowling believes in the American Dream, and in the idea that if we pull together and all do our bit we can help our country reach its full potential. Now in its 28th year, the Irish America Business 100 celebrates the phenomenal success of the Irish in corporate America. The executives profiled represent some of the most influential and innovative corporations in the world, in sectors ranging from technology to film, from social media to insurance, from advertising to automobiles. From those who were born in Ireland to those who feel strongly connected to an ancestor who immigrated generations ago, all of the honorees hold their Irish heritage in the highest regard. Their achievements are a testament to the incredible scope, power and accomplishments of the Irish diaspora. Irish America is proud to recognize this remarkable group of men and women. Congratulations to all of the honorees. Founded in Dublin by two Irish doctors in 1990, the clinical research organization ICON plc is the global Irish success story you’ve probably never heard of. 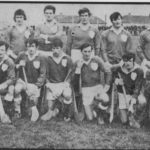 ICON is one of the biggest Irish success stories you’ve likely never heard of. A clinical research organization (CRO), the company works largely behind the scenes. ICON partners with pharmaceutical, biotechnology, and medical device companies to perform research, development, and clinical trials – from compound selection to Phases I-IV. Due to the nature of the field (and the attendant confidentiality agreements) you won’t hear ICON talk about the groundbreaking research it’s had a hand in. But given that ICON has worked with nearly all of the top 20 pharmaceutical and biotech companies and has a presence in 37 countries, chances are you’ve directly benefited as a result of this Irish company’s work. 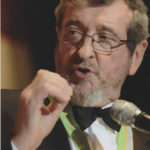 ICON was founded in 1990 by two Irish doctors, Ronan Lambe and John Climax. From a staff of five people working out of a small Dublin office space, over the past two decades it has steadily grown and expanded its global presence to become a powerhouse with $1.3 billion in revenue and 10,300 employees around the world and counting. CEO Ciarán Murray, who assumed the leadership role in 2011 after six years as chief financial officer, acknowledges that the very idea of an Irish CRO was a bit of a gamble. “We have just six million people on the island of Ireland, in comparison to about six million sheep and eight million cows. It really wouldn’t have been the most logical place to start a clinical trials company.” However, he posits that this apparent disadvantage played a significant role in ICON’s success. “It set us apart. A lot of people said, ‘A CRO from Ireland, what’s this about?’ So it prompted this curiosity that gave us the chance to present our pitch. And then we’ve always been really focused on delivery. We’ve always tried that bit harder, because we had to,” he explained recently over breakfast in Manhattan, where he now spends close to half of the year due to ICON’s strong presence in the U.S.
A glance at ICON’s timeline shows a trajectory of measured growth, a series of acquisitions and expansions that have allowed it to create the international presence necessary to compete with other top CROs. The first overseas office opened in the U.K. just one year after ICON was founded, and the year after that marked the opening of its first U.S. office in Philadelphia. They entered the Asian market in 1996 with offices in Tokyo, then South America in 1998 and Africa in 2002. Even during Ireland’s worst recession years, which in 2010 saw ICON post its first-ever quarterly loss, it acquired Veeda Laboratories in the U.K. and Timaq Medical Imaging in Switzerland. It has also stepped in to acquire a number of Irish companies, such as Firecrest, a Limerick-based provider of clinical site technology solutions. Just a few weeks before Irish America talked to Murray, ICON reported a highly successful third quarter, with a net revenue growth of 19 percent to $339.8 million, setting the company on track for $1.3 billion in revenue for 2013. It’s an exciting and competitive time for CROs, Murray explained. In the wake of what he describes as the “blockbuster drugs” of the ’90s, focus has shifted towards treatments for more complex and nuanced challenges, such as oncology and Alzheimer’s. This trickier territory, combined with stricter regulations and safety standards and changes in the health care industry as a whole, has resulted in pharmaceutical companies outsourcing more of their trials. “If you go back six or seven years, probably 20 to 25 percent of the studies were outsourced. Now it’s 40 percent and increasing, with a likelihood of going up to 70 percent in the next five to ten years,” he said. But ICON is adept at adapting. Though the company is still headquartered in Ireland, just about seven percent of its workforce is stationed there, in Dublin and Limerick. Close to 40 percent of ICON’s employees are based in the U.S. (many in North Wales, PA), the rest strategically positioned around the world, with an ever-increasing presence in India (they employ 1,000 in Chennai) and China. Because language and cultural knowledge are necessities, the majority of the staff in these locations are local. ICON conducts its leadership training courses with University College Dublin, bringing in 150 senior leaders each year. They have also partnered with the Gaelic Players Association to create a scholarship program that encourages county players interested in life sciences to continue their education and advance career-wise. “The levels that these players train at is more or less professional now, and you want to make sure that, as young people, they keep an eye on their education, so we’re very conscious of that,” he said. “In addition, we’ve just developed a program in clinical trial management with UCD. We developed the syllabus with them and about 20 students signed on, from all over the world.” If the pilot year goes well, ICON and UCD will consider bringing the program to China and the U.S.
“We’re proud of being an Irish company, and as we make sure that we are the best and do the best, we also try to make sure that it reflects our culture and values,” he added. In the U.S., he said, being an Irish company has a definite advantage. “The Irish-American affinity has been helpful to us in doing business here. Through family ties and knowledge, people here have, generally, a very positive attitude towards Ireland.” He also maintained that, because of the sheer size of ICON’s presence in the U.S. and how early on it became a key part of the business, many within the company view its success story as Irish-American. In keeping with its strong American ties, earlier in the year ICON moved its primary listing from the Irish Stock Exchange to the NASDAQ, where it had previously been an ADR (American Depository Receipt). One of the strengths he sees in being an Irish company is that the Irish seem to have a natural friendliness and openness that allows them to get along with many other nationalities. “We’re also unencumbered by a global military or colonial history, which, interestingly, puts Ireland in a very good position for doing business with Africa and China,” he noted. Perhaps it is Murray’s own experience that granted him such insights and prepared him to lead one of Ireland’s most international companies. After qualifying as a chartered accountant with PwC (then Coopers & Lybrand) in Dublin, he re-located to Milan with the firm in 1989. There he joined Kraft, which had recently been acquired by Philip Morris, and a few years later transferred with them to London before returning to Ireland just as it entered its “Silicon Isle” years. With the tech firm Novell Inc., Murray was constantly back and forth between Ireland and California, which he credits with making him more optimistic and forward-looking. ICON approached him in 2005, and he joined as CFO to help the company build a more robust financial structure as it globalized. In November, on Murray’s immediate horizon there was a trade mission to Japan with Taoiseach Enda Kenny. After that, he said, he would be meeting with the head of an up-and-coming pharmaceutical company in Seoul, South Korea. The second factor, he said, would be employing new clinical technology to speed up and better chart the data of clinical trials, which can often take as long as 10 to 15 years. “With more real-time, adaptive analysis, safety improves and results improve,” he said. Twenty years down the road – or, in all likelihood, sooner – chances are we will be talking about ICON as an Irish-American-Asian success story. According to the annual Forbes Billionaires’ Circle list, which ranks in order the world’s most richest people, five of the 1,426 billionaires in the world are Irish. The richest man in Ireland is the construction mogul Pallonji Mistry, ranked 103, with $10.5 billion. Formerly chairman of the India-based behemoth Shapoorji Pallonji Group, Mistry officially handed over the role to his eldest son, Shapoor, in June. His family is also the primary stake-holder in the $100 billion holding company Tata Sons. Second in Ireland is Denis O’Brien, 2012 Irish America Business 100 Keynote Speaker (and a 2013 honoree) and founder of the telecom giant Digicel. Currently ranked number 233 in the world with a wealth estimated at $5.2 billion, O’Brien operates his Caribbean cell phone company with an ethic of 80 percent business, 20 percent philanthropy, Forbes says. Martin Naughton, founder of the electrical heating appliance company Glen Dimplex (and another Business 100 honoree), is ranked four in Ireland and 736 world-wide with $2 billion. A trustee emeritus at the University of Notre Dame, he gives annual scholarships to Irish students to attend college and was a significant force in bringing Notre Dame’s Fighting Irish football team to Dublin last year. Rounding out the billionaire Irishmen is the financier Dermot Desmond with $1.8 billion, ranked 831, whose self-made fortune comes from the private equity firm International Investment & Underwriting he founded in 1994. After a one year hiatus (the 2012 race was canceled in the wake of Hurricane Sandy) and amidst heightened security, the New York City Marathon retuned to the streets of the metropolis’s five boroughs on November 3. Two million spectators cheered on 48,000 runners, some of whom participated to win, some for fun, and others to raise money for various charities and causes. There were 387 Irish runners across more than 20 teams. Wayne Reid (32) was the male Irish winner (235th overall, 212 gender place) with a time of 2:48:40. A former Iron Man competitor from Athlone, he is deaf and signs for RTE. Margaret McMahon (47) was the female Irish winner (1,620 overall, 112 gender place), with a time of 3:11:26. Kevin Armstrong, a sports writer for the Daily News, had planned to run last year, when his mother (“an Irish immigrant fond of taking the long way”) was a patient at the Sloan-Kettering Cancer Center and had a view of the Queensboro Bridge. Following her death in March, Reid dedicated the 2013 race to her and ran with Fred’s Team, which raises money for Sloan-Kettering. Donations this year raised $4.1 million. Colin and Stephanie Mathers, Irish ex-pats living in Queens, ran for the Rory Staunton Foundation, which promotes awareness of childhood sepsis. Rory Staunton died of undiagnosed sepsis in 2012, just days after receiving a cut while playing basketball at school. The husband and wife team stuck by each other throughout the marathon, finishing at 3:54:11 (Colin) and 3:54:12 (Stephanie). In the women’s para-athlete wheelchair division, Tatyana McFadden won by a landslide, completing the 26.2-mile course in 1:59:13, three-and-a-half minutes faster than her closest competitor, Wakako Tsuchida of Japan. McFadden, who was born in Russia, suffered from spina bifida at birth and spent the first six years of her life in an impoverished orphanage, walking with her arms. In 1994, she was adopted by Debbie McFadden, who, after visiting Tatyana’s orphanage on business as the commissioner of disabilities for the U.S. Health Department, felt a strong connection with the young girl and brought her to the U.S. In fourth place was Amanda McGrory, who still holds the course record of 1:50:25, set in 2011. All the latest with your favorite Irish and Irish-American talent. 1. The Academy Award nominations will not be announced until January 16, 2014, but one of Hollywood’s strongest contenders – expected to get serious consideration in several categories when the Oscar winners are announced in March – is an Irish movie in theaters now. Philomena, starring Steve Coogan and Judi Dench, tells the story of an Irish woman who became scandalously pregnant in 1950s Ireland and was forced to give up her son for adoption. Many years later, Philomena’s story winds up in the hands of a journalist played by Coogan, who helps initiate a search for the Irish woman’s long-lost son. Coogan co-wrote the script, which won the Best Screenplay Award at The Venice International Film Festival, and is considered a likely nominee for an Oscar in the Best Adapted Screenplay category. Coogan (whose mother was Irish) said his roots influenced his performance in the film. Also considered a strong contender for an Oscar nod in the Best Supporting Actor category is Michael Fassbender, whose mother is also Irish. Fassbender took on the challenge of playing one of the most reprehensible villains in recent cinematic memory, the loathsome slave owner Edwin Epps in 12 Years a Slave. Finally, the Irish-produced animated film The Missing Scarf has been long-listed for an Oscar nod in the Animated Short category. Written and directed by Eoin Duffy, and narrated by Star Trek legend George Takei, The Missing Scarf is a black comedy that exposes viewers to the dark side of life, all seemingly told as if it were a children’s storybook. 2. Saoirse Ronan has been struggling to find a movie project that will connect with audiences and critics in the same way The Lovely Bones and Atonement (for which she received an Oscar nomination) did. Her most recent film, November’s The Way I Live Now, was based on the acclaimed young adult novel about love in the midst of the apocalypse. However, the film came and went with more of a whimper than a bang. Now, Ronan is calling on some Irish heavyweights for a future project. 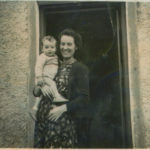 Brooklyn is set in the 1950s, when Eilis leaves rural Ireland behind to pursue a life in the bustling New York borough. She finds work and then an unlikely lover in Tony, from a large Italian American family, who squires Eilis around, from Coney Island to Ebbets Field. Ah, but this tale is, among many other things, very much an immigrant’s tale, a story of being from two places and not feeling at home in either one. Soon enough, Eilis feels Ireland pulling her back, and she must decide where her future lies. Fittingly, Brooklyn – which was a best-seller and won several awards for Tóibín – will be directed by acclaimed Irish director John Crowley (Intermission, Boy A). Acclaimed British novelist Nick Hornby has already adapted Brooklyn for the big screen. Shooting is slated to begin next year. Until then, look for Ronan in Wes Anderson’s next star-studded film The Grand Budapest Hotel and in Ryan Gosling’s directorial debut How to Catch a Monster. 3. It may be a blessing or a curse, but either way, for Irish actor Jamie Dornan, it’s one hot job. After much controversy, Dornan – born in Belfast – has been tapped as the male lead in the much-hyped, hyper-sexual Fifty Shades of Grey adaptation. Dornan was not the first choice, unfortunately. That was actor Charlie Hunnam, best known for playing Jax Teller on the gritty TV drama Sons of Anarchy. Alas, rabid fans of the naughty novel were apparently not thrilled at the thought of the grungy Hunnam playing cool millionaire Christian Grey. Enter Dornan, whose previous acting work includes the film Marie Antoinette, the ABC TV show Once Upon a Time, and the BBC crime drama The Fall, set in his native city. Whether or not Fifty Shades will match the hype remains to be seen. Either way, the world is surely going to see a whole new side of Jamie Dornan. 4. Colin Farrell has a role in the holiday season hit Saving Mr. Banks, about the making of the Mary Poppins film. And Farrell’s got a busy 2014 to look forward to. Perhaps most talked about is the fantasy film Winter’s Tale, a time-traveling epic that zips across the 20th century, also starring Russell Crowe and Jennifer Connolly. Next year, also look for Farrell in the very serious film Miss Julie, based on the August Strindberg play, and directed by Norwegian cinema legend Liv Ullmann. Finally, Farrell will play a serial killer in the thriller Solace, also starring Anthony Hopkins and Jeffrey Dean Morgan. 5. Irish-born director Ruairi Robinson is hoping his recent sci-fi feature Last Days on Mars (starring Liev Schreiber, who made a splash playing an Irish American in Showtime’s Ray Donovan) is a harbinger for a big 2014. Robinson is currently planning to shoot a movie called The Fallen, described as a Cold War spy flick, and he is also hoping to turn his short film The Blinky – which he has described as “Poltergeist, Gremlins or E.T. with robots” – into a full-length feature. 6. Acclaimed director Steven Soderbergh is venturing into TV with an upcoming 10-part drama called The Knick. Early word is that Eve Hewson (otherwise known as Bono’s daughter) will join the cast along with Irish American newcomer Collin Meath, who will play an Irish cop named Phinny Sears. The Knick is set at the Knickerbocker Hospital in 1900s New York, at a time when doctors were experimenting with radical new forms of surgery and medication. 7. Colm Meaney is among the stars of One Chance, which has already been released in Ireland and is currently slated for a late December release in the U.S. One Chance is a kind of male version of the Susan Boyle story. Paul Potts was an anonymous Welshman who one day showed up on the TV show Britain’s Got Talent. Well, it turns out the guy can sing opera with the best of them! The film explores how sudden stardom affected Potts and his family. 8. Finally, two lesser-known Irish films from Hollywood legend John Ford are now available for a new generation of movie lovers. Turner Classic Movies, Columbia Pictures and the Film Foundation recently released a boxed DVD set entitled John Ford: The Columbia Films Collection. The set contains five films from the beloved director of classic Irish movie fare such as The Informer and The Quiet Man. Most intriguing is 1955’s The Long Gray Line, featuring Irish American Tyrone Power as ambitious Irish immigrant Marty Maher, who went to work at the United States Military Academy at West Point as a civilian worker and ended up becoming an institution at the academy, serving for five decades as an athletic instructor and noncommissioned officer. Ford regulars Maureen O’Hara (also playing an Irish immigrant) and Ward Bond also appear in The Long Gray Line, which has long been out of circulation. Also part of this new Ford boxed set is The Last Hurrah, based on the best-selling novel by Edwin O’Connor, about an old-time Boston Irish politician trying to win one more election. The Whole Town’s Talking, Gideon’s Day and Two Rode Together round out this impressive Ford collection. Though McCourt (no relation to the late writer Frank McCourt) is best known nationally for his troubled tenure of the LA Dodgers which ended in the team’s 2011 bankruptcy, locally he is known for his deep devotion to Georgetown. His father, his two brothers, and one of his four sons all graduated from the university, and from 2005 to 2011 he served on the board of directors. McCourt’s endowment will provide full scholarships to entice high-performing students to pursue research at the school’s Massive Data Institute, which focuses on analyzing 21st-century government data in order to understand broader trends in education, health, poverty, and other public policy. Though the crime happened three years ago, the first week of November saw Limerick native Michael Slattery, Jr. (23) plead guilty to the charge of wildlife trafficking at a Brooklyn District Court. In 2010, two Irish men gave a homeless man an envelope with $18,000 in cash in it and instructed him to purchase the head of a rhinoceros at a taxidermy auction in Austin, Texas. The man obliged, purchased the head, and brought it out to the parking lot where the Irish men sawed off the horns. A few weeks later, the horns were packed up with forged bills of sale and driven to Queens, NY, where they were sold for $50,000. From Flushing, the horns entered a world-wide trafficking ring that spreads from Rathkeale to Saigon, where rhinoceros horns can go for more than $5,000 per pound because they are thought to have restorative and curative powers. Slattery, a presumed member of the criminal organization the Rathkeale Rovers, faces a minimum two-year sentence. The arrest for this three-year-old crime highlights the growing involvement of Irish organized crime syndicates like the Rovers, who have been targeted by Europol for stealing rhinoceros horns from art galleries, museums, and even zoos, according to the New York Times. A new record was set in the art auction world on November 12, at Christie’s auction house in New York. Three Studies of Lucian Freud, a 1969 triptych by Francis Bacon of his friend and fellow artist Lucian Freud, was purchased by art dealer William Acquavella on behalf of an unnamed client for $142.2 million – the highest price ever paid for an artwork sold at auction. The previous record-holder, Edvard Munch’s The Scream, went for $120 million at Sotheby’s in 2012. Though he spent most of his working years in London, Bacon was born in Ireland on October 28, 1909, at 63 Lower Baggot Street in Dublin, and lived in Ireland until he was 16. In 1998, six years after Bacon’s death, the Hugh Lane Gallery in Dublin acquired his London studio and the 7,000 items it contained. The studio was relocated piece by piece and then rebuilt in the city of his birth. Prior to Three Studies of Lucian Freud, the highest price ever paid for one of Bacon’s works was $86.3 million, by Russian businessman Richard Abramovich in 2008, for a 1976 triptych. After wide spread speculation concerning identity of the Lucian Freud triptych’s new owner, reports have emerged that the winning bid was placed by Sheikha Mayassa bint Hamad al-Thani of Qatar’s royal family. With lead discretion over the family’s art-buying budget, she also directly bought Paul Cezanne’s The Card Players last year for $250 million, the highest price ever paid for a painting. On November 14, the Hugh Lane Gallery opened a new exhibition featuring photographs of Lucian Freud from Bacon’s studio. It runs through January 12.